...we have the Right Tool for the Job. With 50 years of trusted experience, Duonetics is dedicated to providing Precision CNC machining and precision dynamic balancing services to all facets of industry with the highest levels of quality, customer satisfaction, and integrity. With 13,000-sq-ft, our line of advanced of 3, 4, and 5 axis mills, turning centers, and dynamic balancing machinery is ready to serve. Our AS9100 Certified Quality Control Dept. 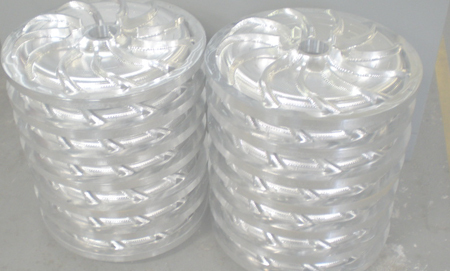 is fully capable of providing the highest degree of quality control over every job in our shop. Our reputation for innovation and quality keeps our customers coming back. Our Jetinetics and Pro Jet Sports divisions supply many major distributors and some OEM manufactures with billet aluminum products. In fact, if you have one on your watercraft, chances are good it was produced by our OEM divisions. For 54 years we've dedicated ourselves to continuous improvement, offering CNC manufacturing and precision dynamic balancing services to at the highest levels of quality and service. All equipment and measurement processing is controlled by our AS 9100 quality management system (QMS). Polynetics has developed a QMS that certified to the AS 9100 Rev. C industry standard to ensure against quality lapses on the production floor. 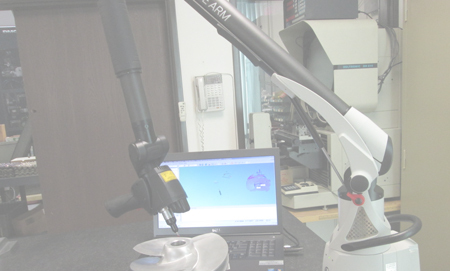 Our QMS is an invaluable tool in the pursuit of a near zero defect production environment. Our recently added DMG-Mori NLX 3000/700 live tool turning center greatly improves our current inventory of Nakamura Tome Slant 1, Nakamura Tome TMC II, our DMG CTX 510 live tool production turning department. 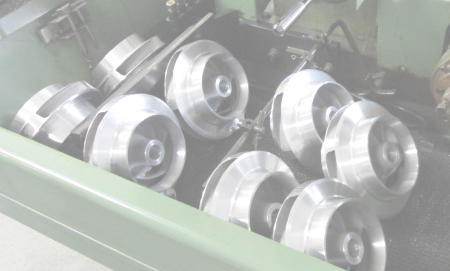 Our two manual engine lathes provide 2nd operation and tooling support. Our FIVE milling machines range in size from our 300 mm (11.8 inches) palletized horizontal Kitamura H300 with a full 4th axis, to our twin Yamaseiki VMC1200 and VMC 800, (also with full 4th axis) vertical milling machines. Each has its unique advantages including liberal machining envelopes and rigid, high-torque spindles but all provide a range of machining capacity that allows us to handle parts over 4 feet long and almost 30 inches in height. We can even handle parts longer than 12 feet with some cleverly developed tooling. Our DMU 60 and DMU 85 large capacity 5 axis centers are state of the art and well tooled. Each is capable of on-machine Renishaw part probing/inspection for guaranteed part precision and accuracy. Utilizing Open Mind Hypermill advanced CAD/CAM programming software our engineers are able machine the most complex geometries with little difficulty. 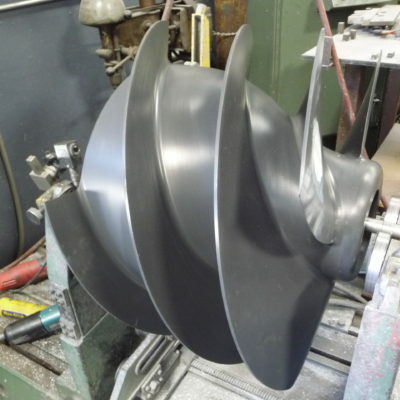 Our balancing department has machine capacity ranging from just a few ounces to 1500 lbs. of rotating weight. Each machine is calibrated to AS9100 requirements with NIST traceability. Duonetics has been an invaluable asset to our company over the many years we’ve worked with them. They’ve proven their value and competency as qualified machinists and problem solvers for us. Often under pressure they’ve always come through for us, they’re a very good shop to work with. Duonetics has been a key supplier and top tier vendor for 40 years, long before I started with JCC. I’ve relied on them to provide perfect parts time and time again and they’ve never let us down. Our very large pumps demand consistently highly reliable parts, Duonetics delivered every time.